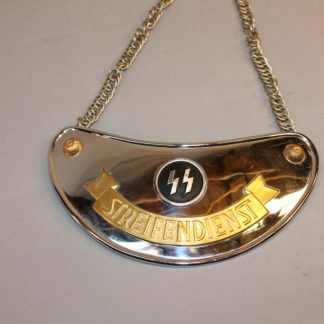 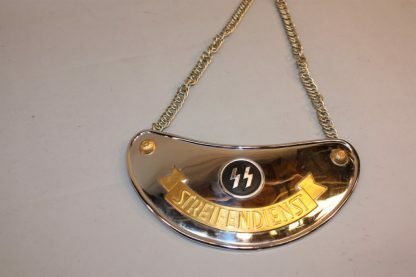 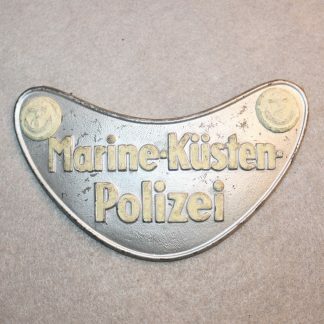 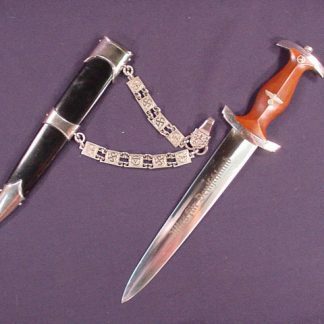 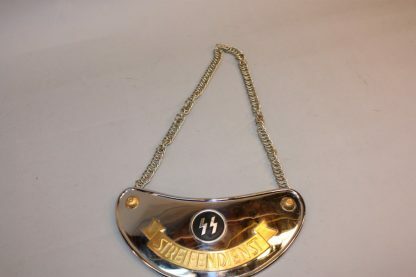 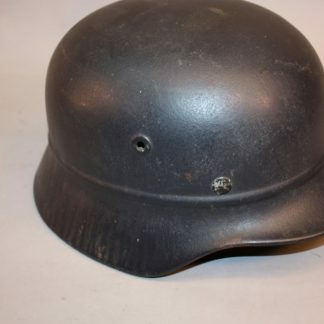 SS Streifendient Gorget – Military Collectibles, Inc. 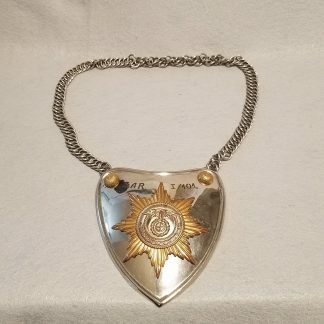 This gorget is in mint minus condition. 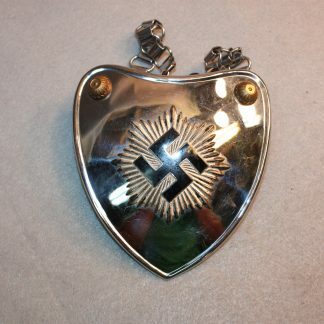 As the pictures show, the gold is 100%. 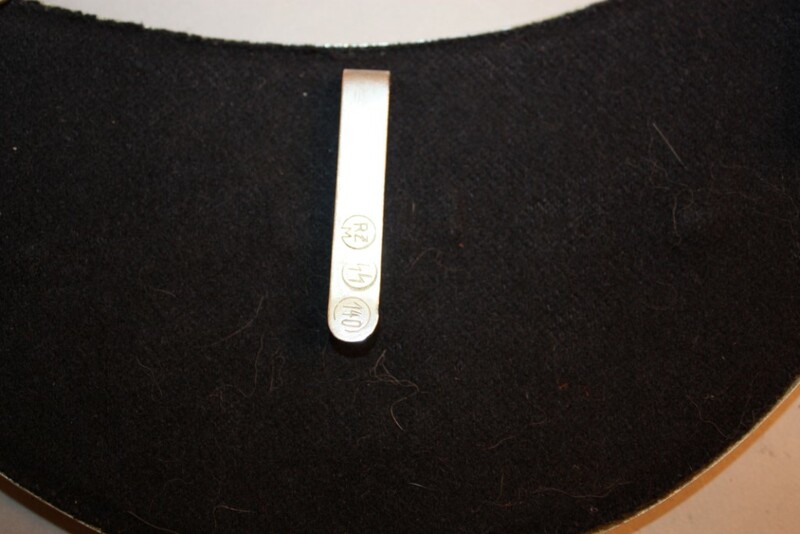 No damage to the chrome. 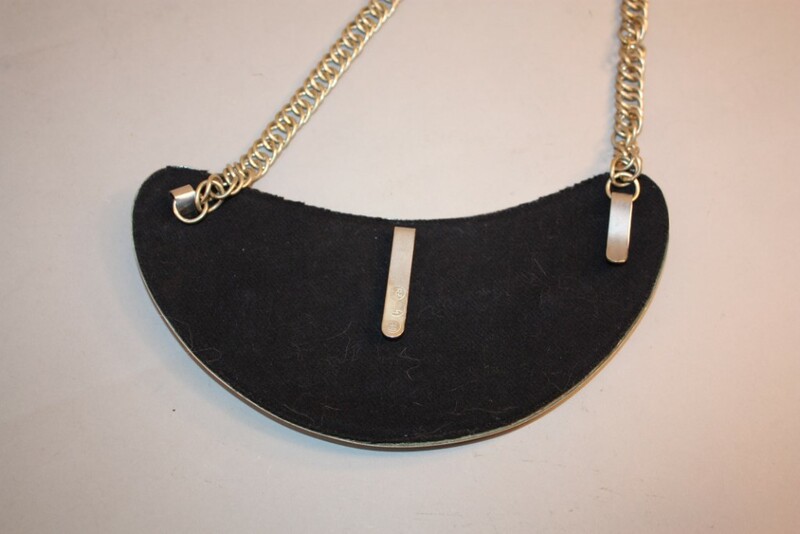 Chain and backing to Gorget are 100%. 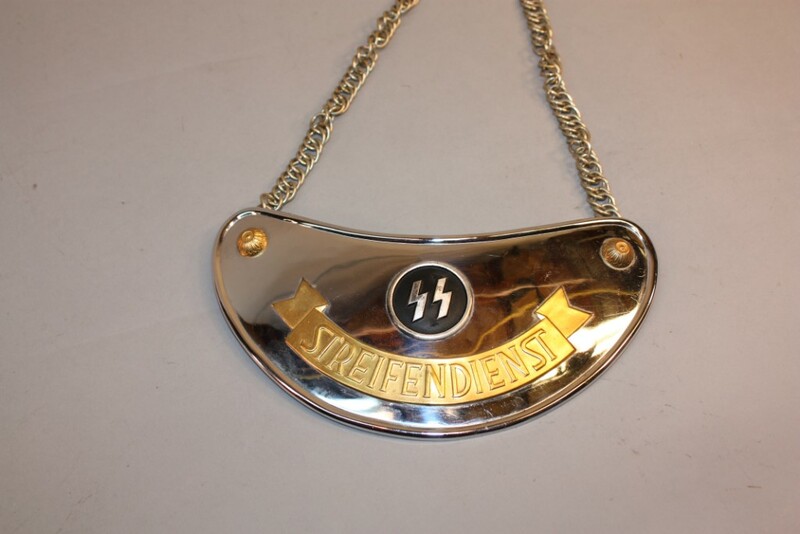 Marked on reverse RZM, SS, 140.